The traditional U-shaped travel pillow has always been a crowd favorite, but much of what’s out there now is more newfangled. 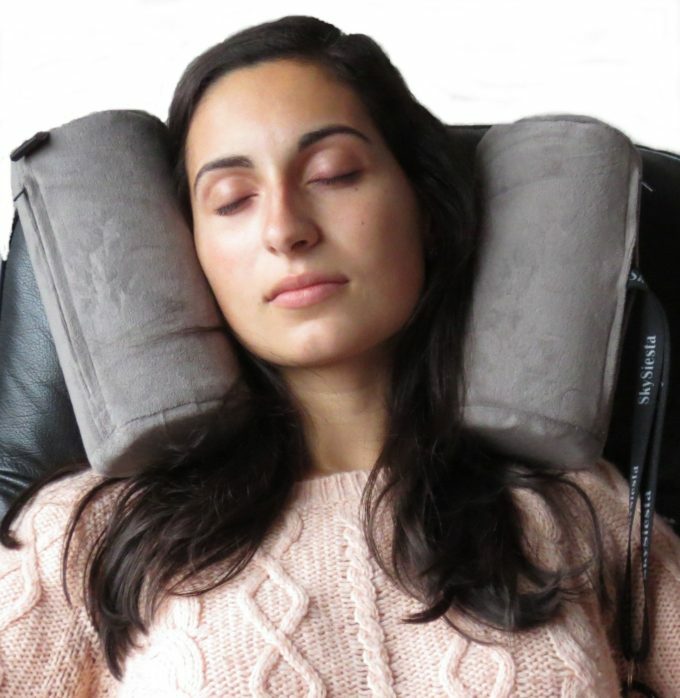 For example, the SkySiesta, which supports your head like giant hot dog buns. 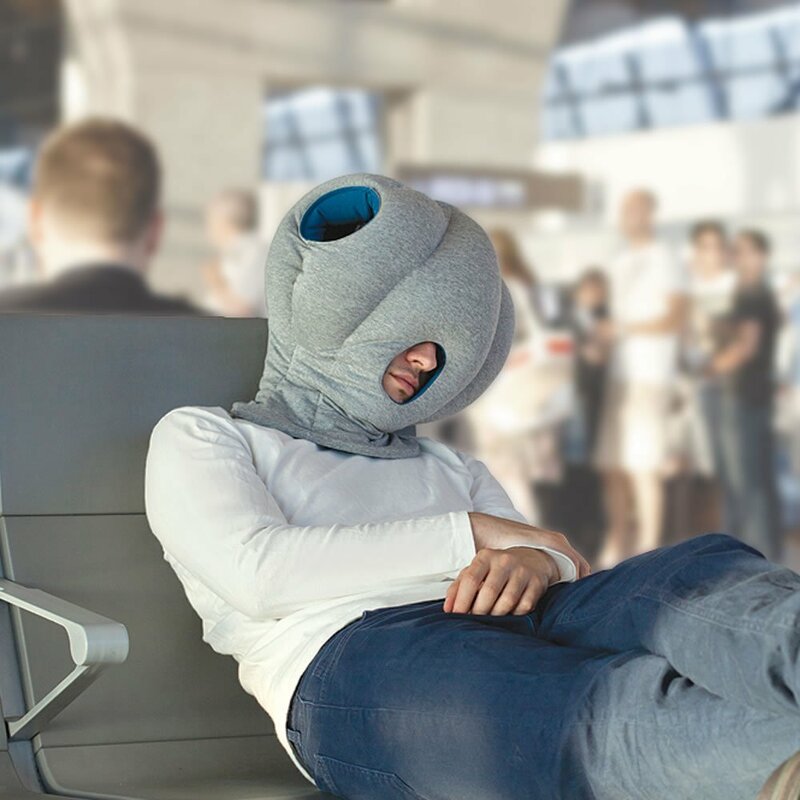 Bonus: It comes with a matching eye mask. Then there’s the bestselling Trtl. Apparently it helps you fall asleep so quickly there isn’t even time for vowels. 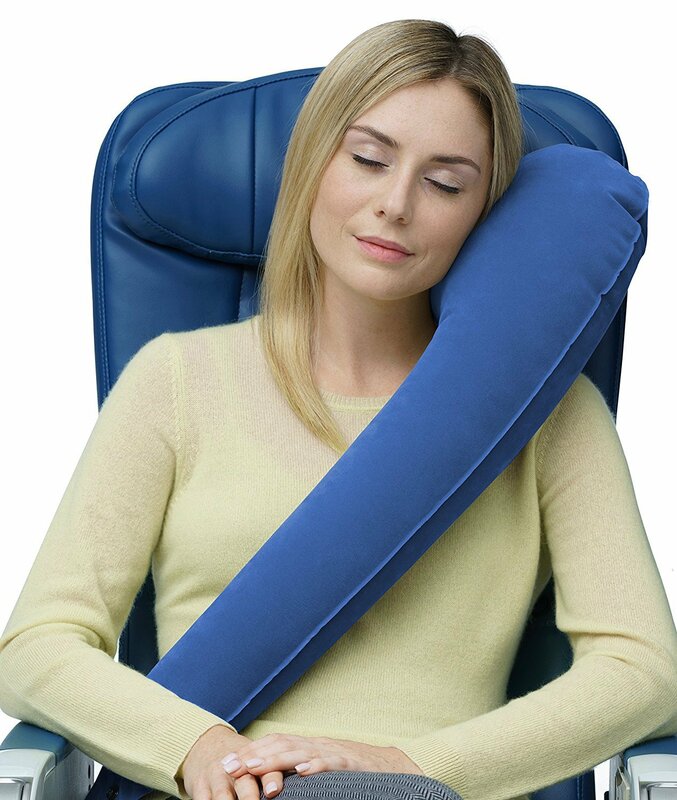 Travelrest’s pillow is designed to help side sleepers feel comfortable sleeping not at all on their sides. 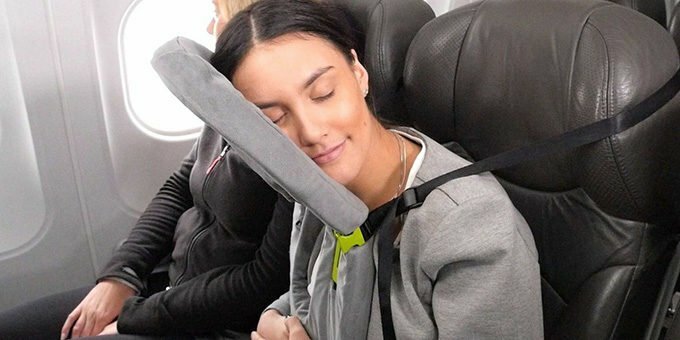 It looks like a big in-flight hug. The Voyage pillow weighs only 2.5 ounces (less than a phone!) 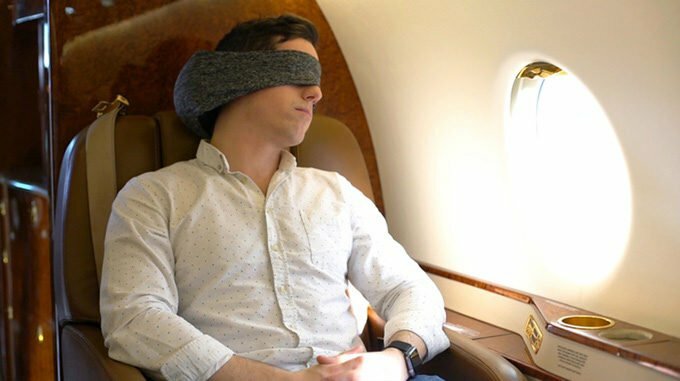 and is both a microbead pillow and eye mask in one. 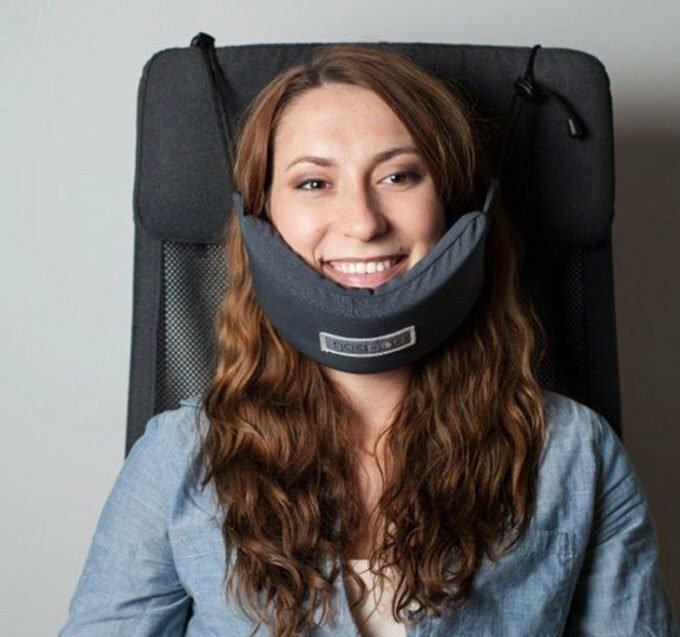 If you’re a “please turn my tray table into a bed” person, the Daydreamer face pillow is for you. 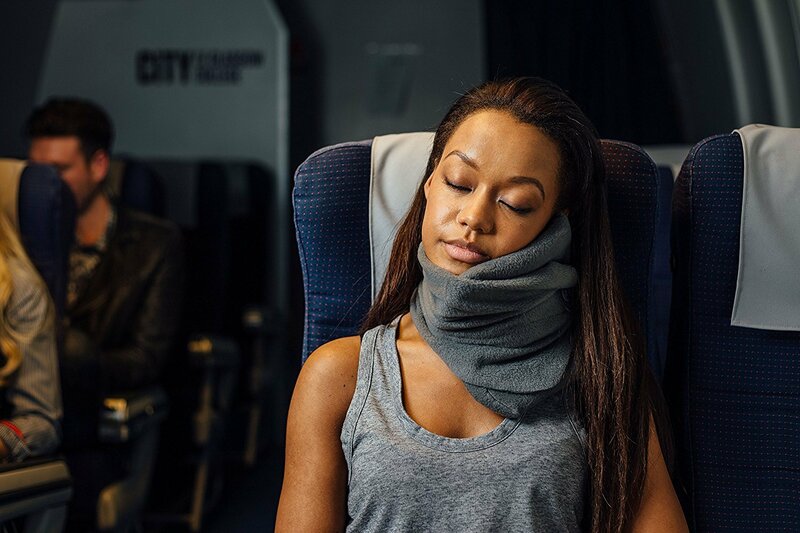 The FaceCradle wins for best tagline: “Upgrade to sleeping class.” Made of deep memory foam, it promises to lull even the most resistant airplane sleeper to rest. 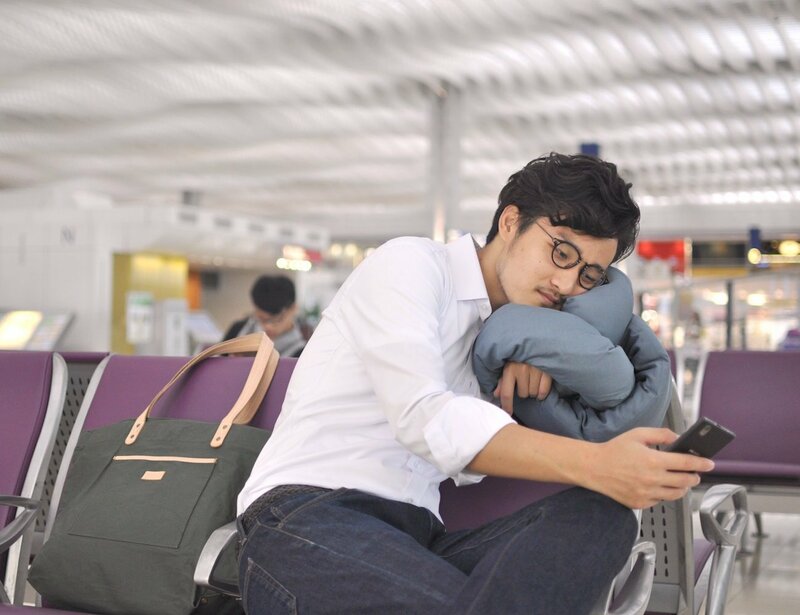 Huzi’s Infinity Pillow looks really soft and cozy, and at 18 inches long you could even share it with your travel mate. 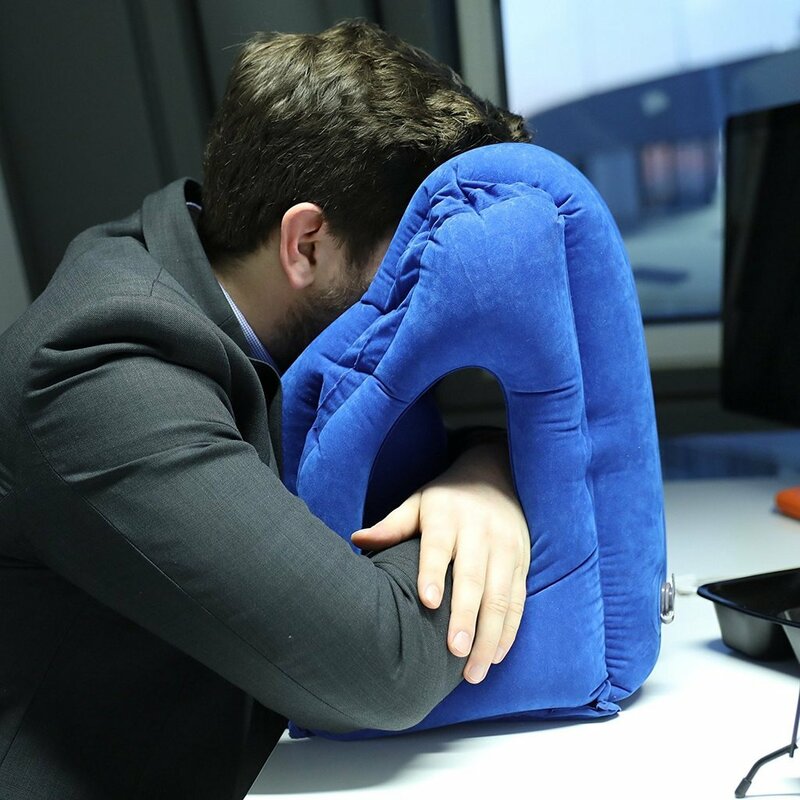 The OstrichPillow (my personal favorite) is equipped with openings around your nose/mouth and ears so you can still hear and BREATHE. And, finally, if you don’t like the feeling of your head jerking forward (and who does? 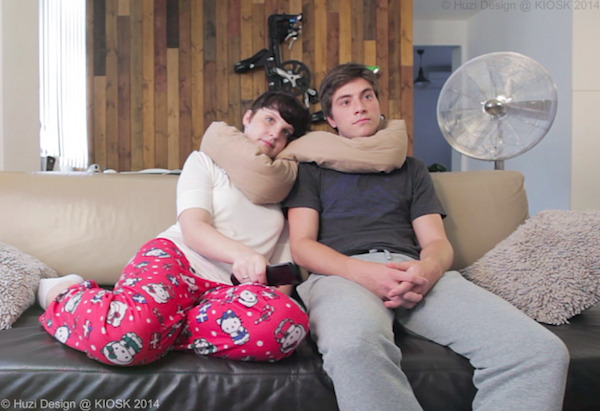 ), the NodPod has you covered. 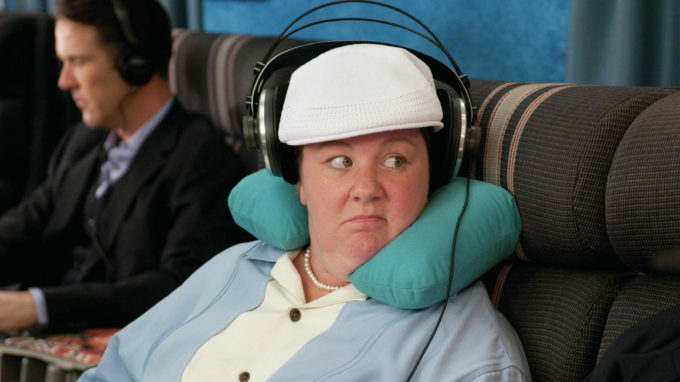 All I can say is I hope my next flight offers an entire Tom Hanks channel.